When we got back from Fall Break, classes and reading began right back up again. It was nice to be mentally refreshed (but physically exhausted) from our various trips that we took over the previous week. Not only did we have classes to get back to, but we had a friend from back home to visit us: Dr. Jonathan Watt! 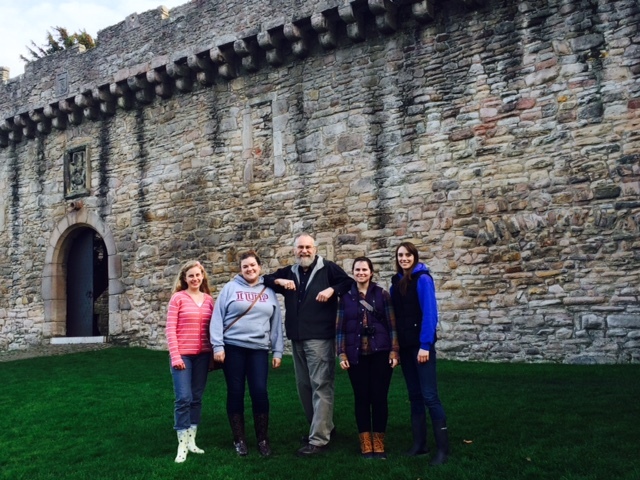 Dr. Watt is the head of the Semester in Scotland program, and so he came to visit for a long weekend to check up on how we and the program were doing. It was so nice to have a familiar face from home and to hear news about what was going on back in the States since we left. Dr. Watt didn’t just come to visit; he also came to teach a short class on Post-Modernism. The class he taught was short, but very informative and helpful in teaching us about the assumptions in worldview that most people have. I know that I am the better for knowing the trends of my peers and the common ideas that link my generation together. Because of this class, I know better how to respond to the world around me in its underlying assumptions that result in a particular way of life. Sometimes when I study topics like this I tend to feel fear for Christians, because of the increasing hostility towards the gospel and those who preach it and live it. But I have to remind myself that God is in control and that He will not forsake His people. Dr. Watt ended the class with some thoughts by Alexander Solzhenitsyn on freedom. He reminded us that while the post-modern world values its own “freedom,” we in Christ have the true freedom. Solzhenitsyn describes worldly freedom in his address at the Harvard Commencement of 1978 as having a tilt towards evil. Solzhenitsyn declared freedom’s evil bent “was evidently born primarily out of a humanistic and benevolent concept according to which there is no evil inherent to human nature.” Towards the end of his speech (to what must have been a shocked class of Harvard graduates) Solzhenitsyn asserted that “all individual human rights were granted because man is God’s creature. That is, freedom was given to the individual conditionally, in the assumption of his constant religious responsibility”. Isn’t that the truth? Whatever else the world may say, man is made in God’s image. All freedom comes from above. We are obligated to obey God’s law, and as Christians that is true freedom. Paraphrasing Solzhenitsyn, we can say that freedom is the license to do what you ought to do—not what you want to do. I need to remember these truths. I should not be fooled by what the world terms as its “freedoms” which are ultimately the licenses that they give themselves to sin. Psalm 73 deals with the issue of watching the wicked succeed in this life, wondering what will happen to the Godly. In the middle of the psalm, the mood changes from one of despair to the looking to God for strength and truth. In verse 17 the psalmist looks to the sanctuary of God where he then “discerned their end” and in verse 27 he proclaims that “those who are far from you shall perish; you put an end to everyone who is unfaithful to you” (ESV). The wicked will eventually receive their justice from God. I do not need to fear, for I am His. The final verse of the psalm says, “But for me it is good to be near God; I have made the Lord GOD my refuge, that I may tell of all your works” (Ps. 73:28 ESV). Our life is to be not one of fear for what the world is doing and what may happen to us Christians, but rather one centered on spreading the gospel and love of Christ. We are to look inwardly and upwards to be continually sanctified in the freedom of God’s Word. We are called to live a life not for ourselves, but one of sanctification and pursuing of Godliness. This program sets you up to have amazing travels. Having the continent of Europe next door, you are able to go see some of the greatest countries and experience their cultures. 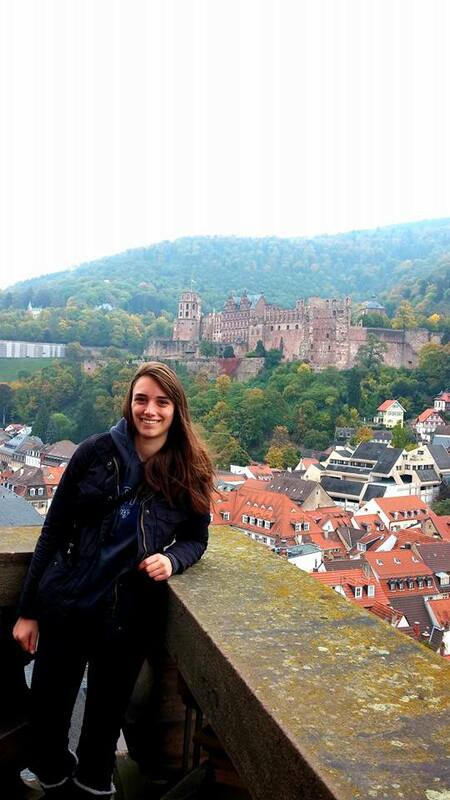 During Fall break I had the opportunity to visit friends in Germany. 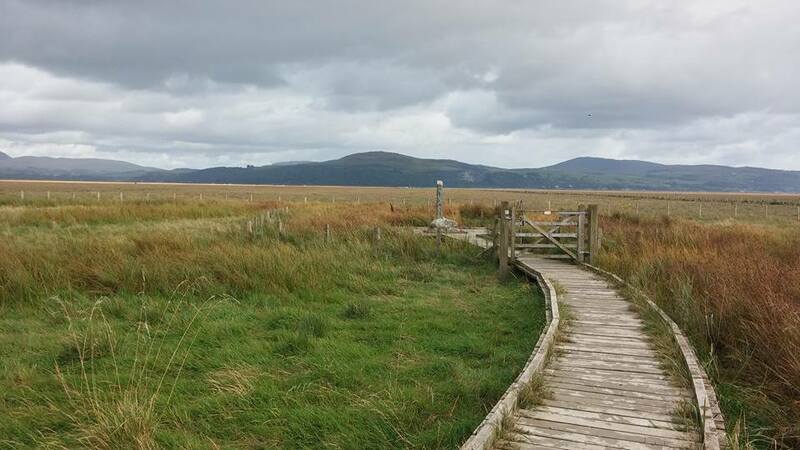 I had no warning that I would fall in love with the country when I got there. I arrived perfectly in time to see the trees painted with bright colors on the hills that surrounded us. Germany’s Fall weather and landscape is a lot like Pennsylvania, so it reminded me of back home. During the break I was staying with my friends, the McDonald family. They were so nice and hospitable, making sure I had a full German experience with delicious food and also historic sites to see. As a family, the first place we went to visit was the city of Trier. This is the oldest city in Germany, being founded in 16BC by the Roman Empire. As we entered the city we were confronted by a big Roman stone gate. This gate structure had two large towers that were three stories tall, with windows and big doors for protection. The next reconstructed building from the original Roman times was the largest bathhouse constructed back in its era. Here the archaeologists had found tunnels underground where they would have been for the city, and we were allowed to run through and explore the different passageways. 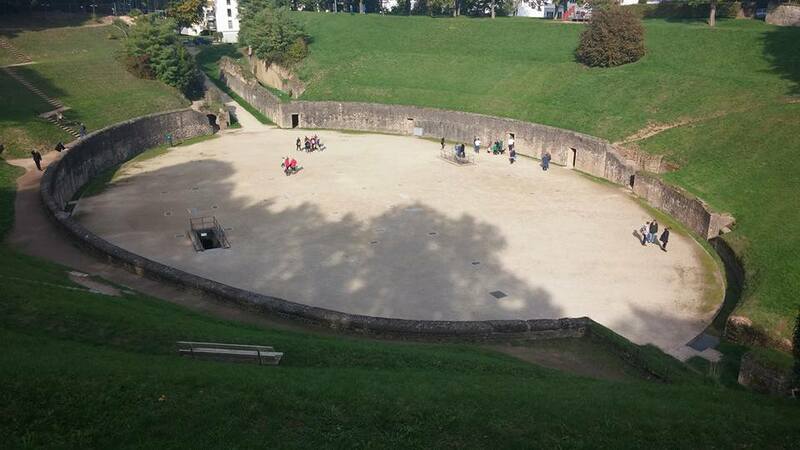 The last Roman era structure we came to was the amphitheater. This would have been this city’s own coliseum. 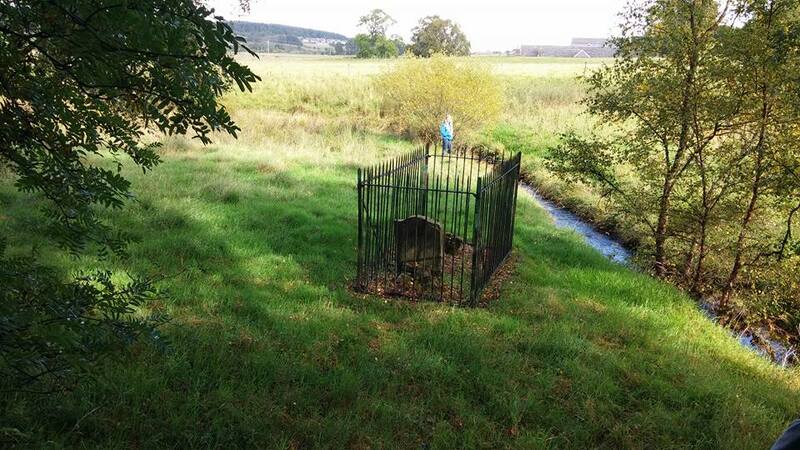 Unlike the one in Rome, this is a smaller scale one, in the valley of smaller hills. The seating the people would have enjoyed was wherever they could find a spot on the hills looking down. The neat thing about this amphitheater was that it had a basement level under the ground floor. Here warriors or animals would have been waiting for the upcoming fights. This gets even better in that the Roman architecture was so advanced and precise, that when they were digging up the site, the basement level still held the dirt floor above with its original wooden support beams. This city is only a glimpse of the deep history of Germany. We later visited the city of Frankfurt and saw old cathedrals and churches. These German cathedrals often have towers you can climb to get to an observatory deck. 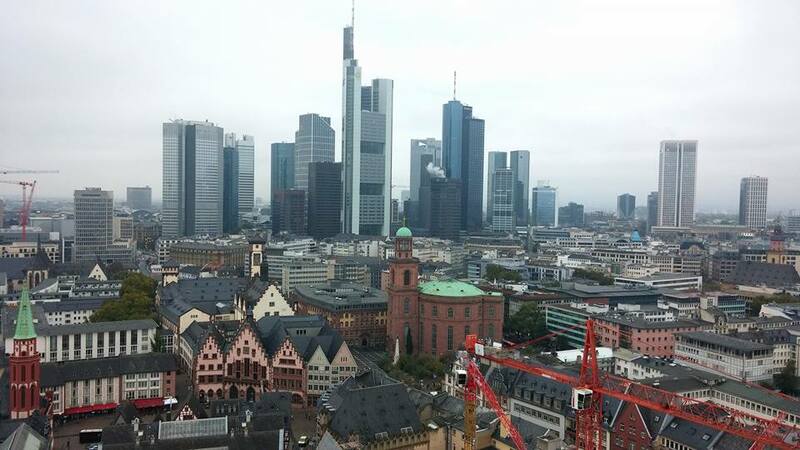 So 378 steps up a spiral staircase later, we had an beautiful view of the city of Frankfurt. Our travels also included cultural places that were not strictly German. 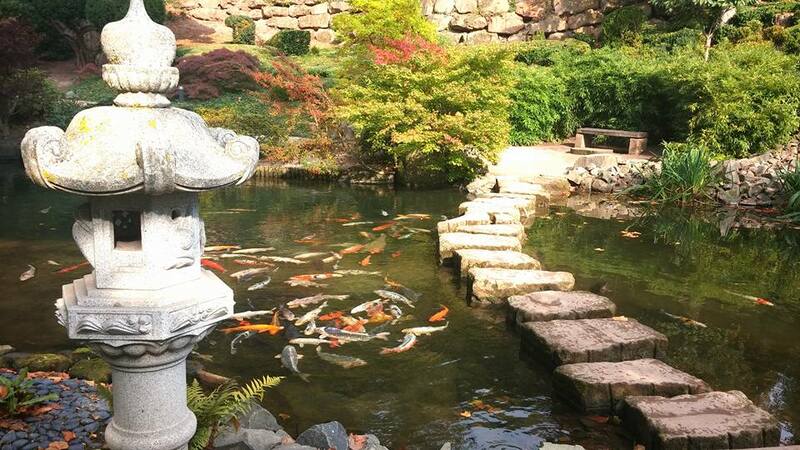 For instance, one day we discovered a traditional Japanese garden, which was amazing. My last day there we decided to go to Heidelberg to see a Christmas shop and visit the castle. As we came up to the city, we saw the old castle looming above the city on a hill. We decided to find the Christmas shop before heading up to the castle. Taking our time to find the shop, we wandered around the city finding old churches and cathedrals. 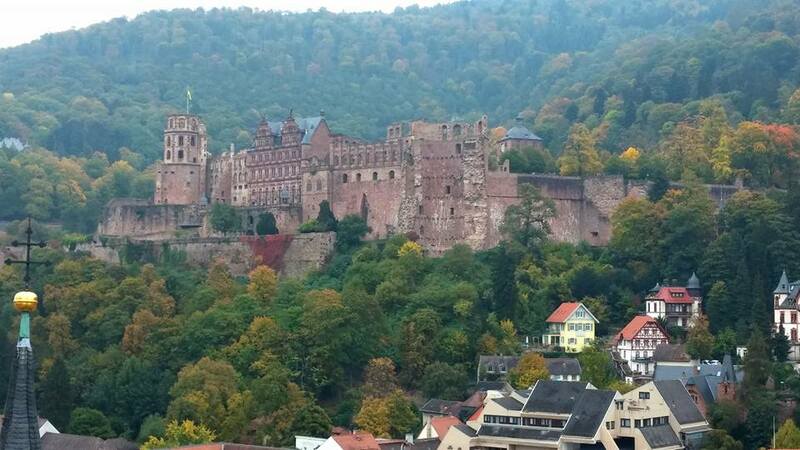 Heidelberg has a lot of history since it was an important location for the Reformers in Germany. There are many more places in Germany we could have visited, which gives me a reason to go back. But not every day we went out traveling. Some of my favorite times in Germany were spent around the dinner table or playing board games at home. The greatest blessing of all was the chance to take a break from school, be able to travel, and invest in my friendships with fellow believers. The first week of October the church held a mission service outreach. The weeks prior the church came together with the help of the Glasgow RP church and the Edinburgh church as well, distributing thousands of leaflets letting the people of Airdrie know they were invited. All that was left to do was pray. We prayed that family members of the church would attend or that at least a handful of people from the town would join us. The mission took place on Wednesday, Thursday, Friday, and Sunday. 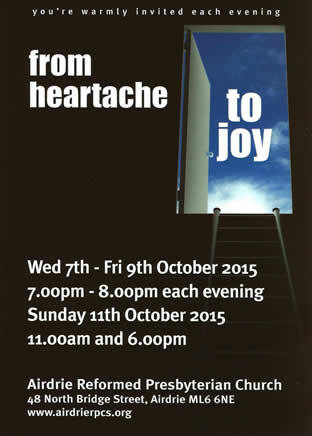 During those 4 nights there were many town people that made their way to the pews. It was so encouraging to be able to see the fruit of our labor and hear Rev. Andrew’s sermons on the faithfulness of Ruth. I remember seeing one gentleman that came to several of the nights and each time stayed very late after the sermon and teatime, asking questions. As a missions major I find evangelism so important, as we all should! However at first I really struggled with the willingness to go door-to-door giving out these flyers. I felt very uncomfortable going onto people’s property and giving them a flyer they might be angered by. But it was neat to see how God pushed me out of my comfort zone. As I have said before, I am just so blessed to be here with such an amazing congregation who love their town and want to share God and serve Him everyday! 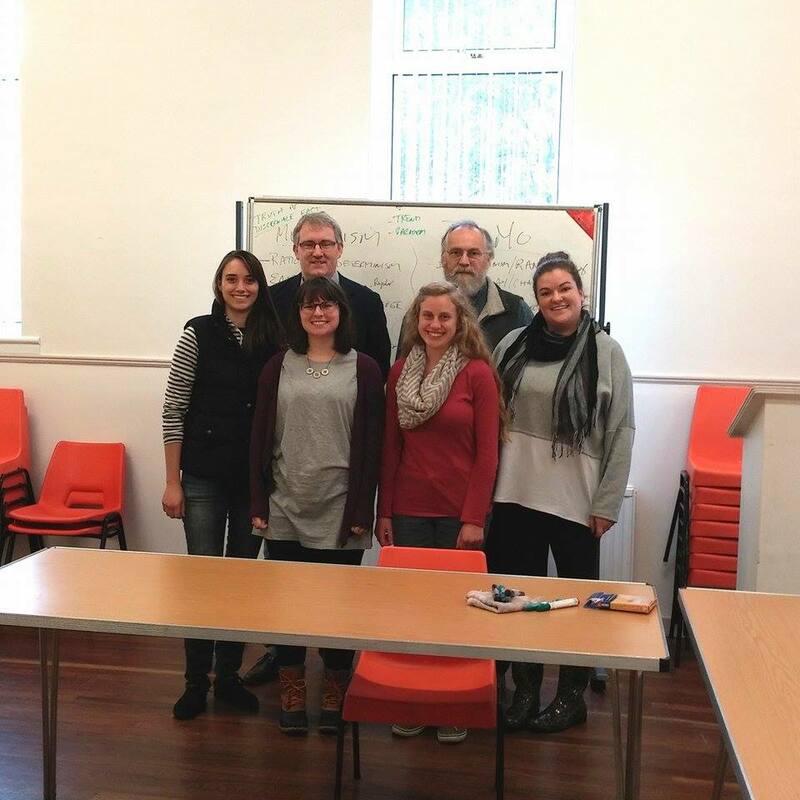 Dr. Jonathan Watt, head of Geneva’s Bible Department, is over visiting the Semester in Scotland programme. He is teaching the students a two day class on ‘Postmodernism,’ and sitting in on their other classes, and their weekly cultural excursion. Here he is with the students. This past week we were back to classes after our Reformation Tour. Along with classes, we were distributing Thursday, Friday, and Saturday for the upcoming Mission services happening at the church. It was encouraging to see the church uniting and most of the members participating in the distribution. Even some of the children would take part, coming after school to distribute. People traveled from the Stranraer, Edinburgh, and Glasgow congregations to help with the distributing as well. On all three days we went out twice, for a couple of hours each time. We went in pairs and were given a map of an area to cover, and we would walk around and put the leaflets in every mailbox in that area. It can be hard work and was very tiring, but we pray that God might use those leaflets to cause people to think and bring people to the mission to hear the gospel. I especially remember the people who I handed leaflets to personally: the woman who had growling and snarling dogs, the elderly man with his toddler grandson, the women talking outside their houses, the boys playing basketball, and many more. I pray that they would not just throw the leaflets in the bin, but that God would use those leaflets to bring them to Himself. Along with the distribution, we have been praying together instead of having Bible classes on Sunday morning for the last few weeks. I was encouraged to hear many lifting their voices in prayer to God asking for the salvation of the people of Airdrie and praying for people to come to the Mission. Both young and old have prayed fervently for family members who are not saved that they might come to the Mission services and for the Holy Spirit to be at work in their hearts and lives, calling them to Himself. I have been so encouraged to see the amazing faith the church members have that God will bring their loved ones to salvation in Christ, and I have been convicted of my own little faith. I pray that the will of God will be done in the Mission services this week, and that He will be at work in the lives of many convicting and converting sinners and drawing them to Himself. Last week was our Reformation Tour, courtesy of Jimmy and Helen Fisher. 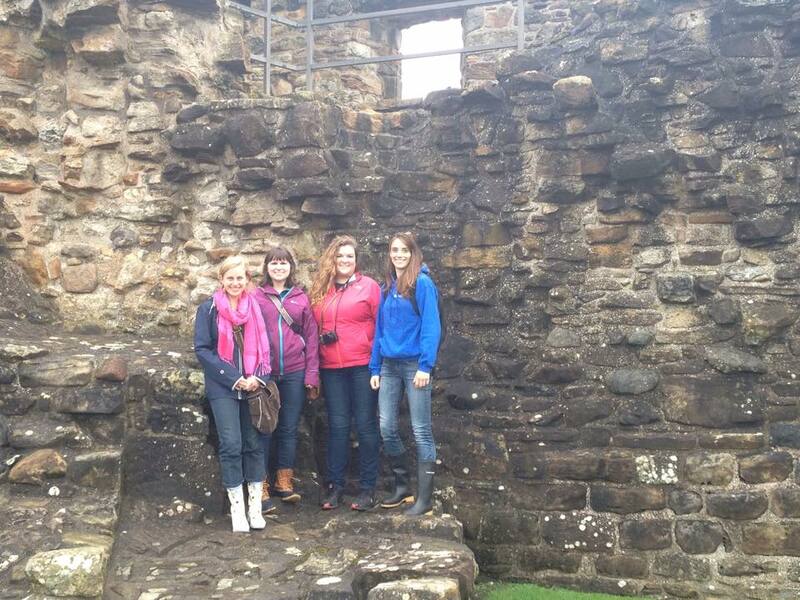 I loved every second of our time traveling around Scotland. God blessed us with unusually pleasant weather and safe travels. 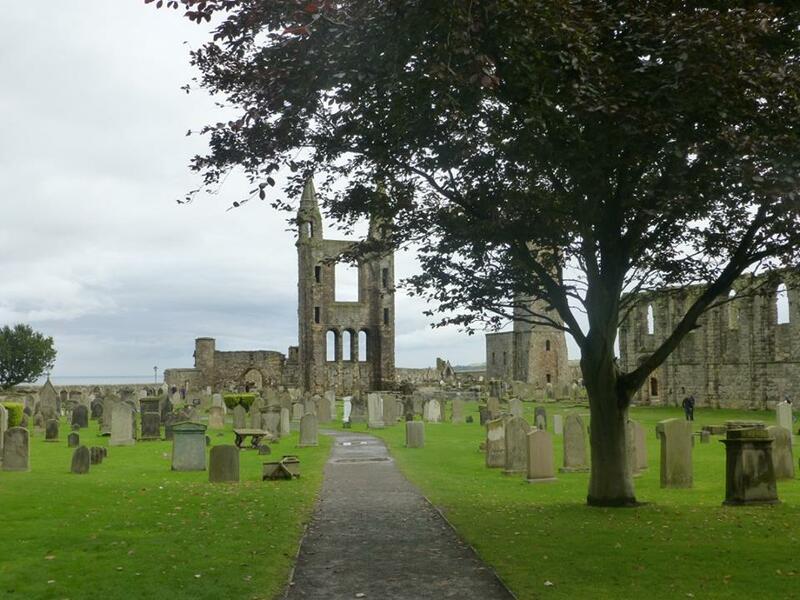 Jimmy and Helen took us around to many churches, graveyards, castles, and even some battle sites that were relevant to the Reformation in Scotland. A lot of the stories that Jimmy told us as we went around were familiar—we had just finished reading “The Scottish Covenanters” by Johannes G. Vos the week before. But while the four of us girls may have had a basic understanding of the timeline of the Reformation as well as the key figures that drove the changes in the church, it wasn’t until we were standing by the graves of the two Margarets or William Adam that we really came to realize the price to be paid by being faithful to Christ. During the week, I began to notice a pattern in why so many people were being martyred for being Covenanters. In so many cases, like William Adam’s, it was simply for being seen reading a Bible. Or like John Brown, who was murdered in front of his wife and children because he owned a Bible and was telling Bible stories to children. I think that the Covenanters had grasped an all-important concept that Christians today forget all too often—the Bible is the living Word of God. The Word of God has the power to change people. It is the ultimate written source of Truth in our lives. And for those who are opposed to God, this is an aroma of death. It is why so many who are opposed to Christ wish to put barriers between His people and His Word. After this week, I have come to a new appreciation for God’s Word and what it is. We have the very words that God breathed out at the very tips of our fingers—should we not be taking full advantage of this means of grace every day? So many have died for the act of owning or reading the Bible, and it should convict us of the life-giving importance of knowing God through His Word. I have come to appreciate my heritage in the Reformed Presbyterian tradition even more than I already have—what a rich history of being faithful to God’s Word and keeping Christ as the only Head of the church.